The splendid historic Waldorf Hotel hosts the restaurant Homage in its grandiose dinning hall, with gold high ceilings and tall pillars. I have been there twice on two very different occasions. My first visit was for my friend’s birthday and we wanted her to experience the real afternoon English tea. My second visit was for dinner a few weeks ago. The afternoon tea was everything an afternoon tea is about. Their beautiful cosy tea room created an intimate atmosphere and we sat there for a few hours enjoying freshly baked scones, pretty little patisseries and finger sandwiches. It was delicious and I remember my friend had a great time. Our dinner was the opposite of cosy and intimate as we sat in this airy room, with very high ceilings and unfortunately very cold. I was so cold I had to ask for my coat back to place it on my legs and we ordered a pot of hot tea at the end of our dinner instead of getting another glass of wine. We booked a table using the bookatable deal offering a 3 course meal and a glass of prosecco for £29. I always thought these deals were meant to showcase a sample of their best food. Their starters surely went along those lines. 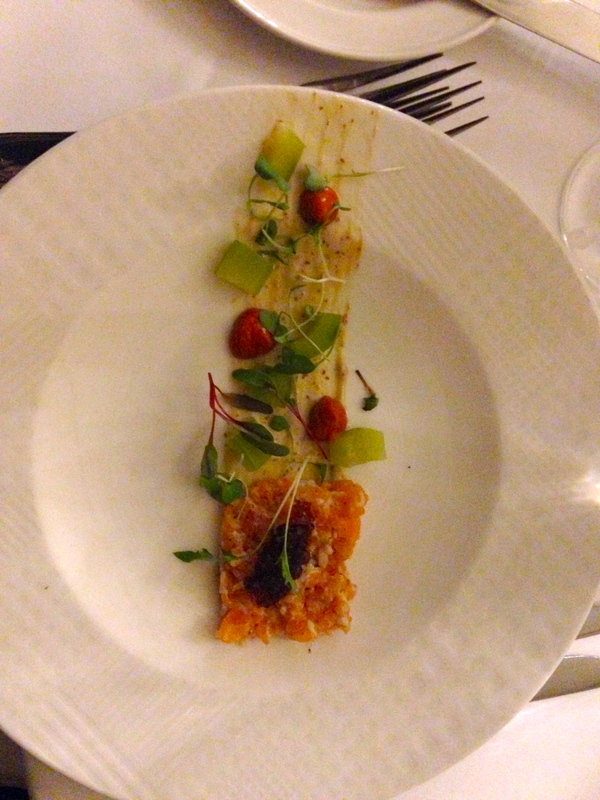 The trout tartare, with red pepper and cucumber, looked and tasted delicious. 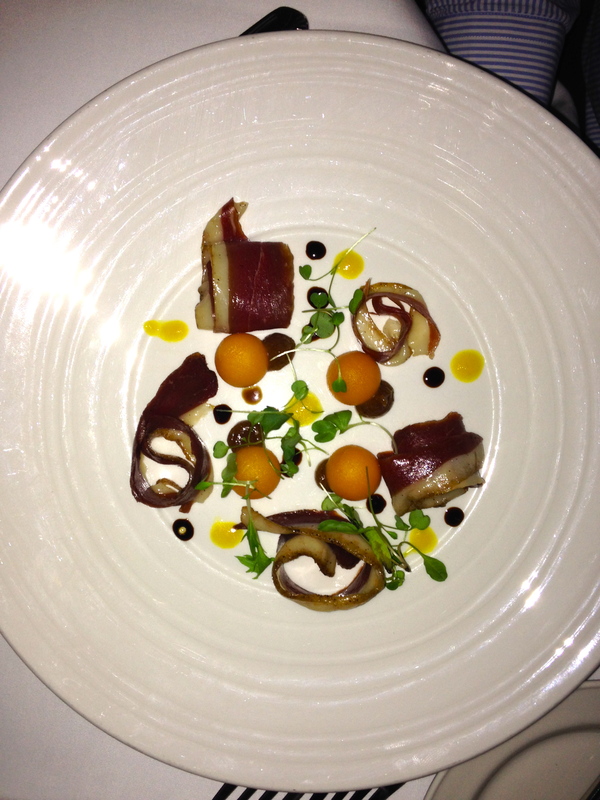 The smoked Gressingham duck breast did not taste great as far as duck magret goes, with not enough sauce to go with it. The main was a big diseapointment. We both chose the rump of lamb, and although the red wine reduction was packed with flavour, the rump was unfortuately tasteless and overcooked. I asked how it has been cooked and they said it has been marinated in ginger, rosemary and thyme, pan fried and then finished in the oven. My dessert was a called a chocolate cream brulée. I have had chocolate cream before, and also chocolate crème brulée, but never a cream brulée. I got served a big lump of thick chocolate cream, containing probably a very high percentage of cream cheese. It was too rich and not chocolaty enough for our taste. My husband got served a generous platter of cheese, which he loved. All in all, it was what French people would call a ‘bof’ experience. Deal or no deal, there are so many great places in London to eat at that we probably won’t go there again to taste more of their food as they didn’t showcase their menu properly. Afternoon tea was great though so if you want to impress a friend and bring them to a wonderful historic hotel, the Waldorf is certainly a great choice!